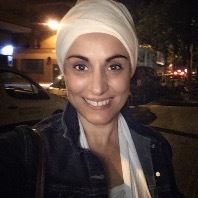 Siri Vedya Kaur, (Maria Àngela Llaona) Professional Trainer in Kundalini Yoga , Director of "OMANA" Yoga School on the Costa Brava - Catalunya. Since 1998 at the service of people offering techniques to care for the body, mind and emotions. She and her team offer a work plan for personal and professional success. Journalist, Member of the Journalists Association of Catalonia, she continues to work in the radio. Therapist since 1998, trained in biomagnetic pairs, Tuina, Shiatsu, Japanese and European Reflexology, in floral essences of the world, Auriculotherapy, Hinaishin Akebane, Reiki, Moxibustion, Ito Thermie, Macrobiotics, etc ... She has also been a Kundalini Yoga Teacher since 2002 and teacher of Shakti Dance since 2011. Trained in Gurudass Kaur Child Play Yoga and Prabhu Nam Kaur Children's Yoga Specialization. Tantric Numerology with Gurudass Singh and Maria Krishna Lapuente .. Accredited in the professional qualification of instruction in yoga by the Generalitat of Catalonia and the Ministry of Education, Culture and Sport. Registered in the official registry of Sports professionals of Catalonia (REP), in the Spanish Association of Kundalini Yoga (AEKY) and the International Kundalini Yoga Teachers Association (IKYTA). Currently Professional Trainer of Kundalini Yoga teachers internationally with Gurudass Kaur's Team.